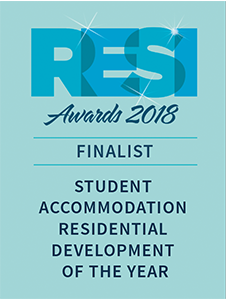 Prime Student Living, part of the Crosslane Property Group, has been shortlisted as a finalist for the RESI property awards 2018 in the Student Accommodation Operator of the Year category for Brass Founders, a purpose-built student accommodation (PBSA) development ideally situated in Sheffield. A survey concluded students are very impressed with their new accommodation, with a satisfaction rate of 93% and 91% agreeing they would recommend it to a friend. Prime Student Living offers a unique customer-centric approach across the PBSA properties it manages and draws upon regular resident research – and experience from over nine years of property management – to place students’ requirements at the centre of the company’s considerations. Being part of Crosslane, Prime Student Living is well-positioned to answer the ever-increasing demand for high quality PBSA, with competitive prices, in desirable locations, with the wealth of amenities and accommodation options that today’s student demands. This approach results in a fully integrated, bespoke, best-in-class solution: keeping students satisfied, and occupation levels high. The annual RESI Awards, organised by Property Week, aim to celebrate the residential property market and its successes of the past year. Bringing together the key players in the market, the RESI Awards has played host to the likes of the Tony Pidgley and Stephen Stone, amongst others, in the seven years that it has been running. Described as the key celebratory and networking event for the sector, the RESI Awards help this sector continue on its path to excellence. The award ceremony will take place on 16 May 2018 at the Grosvenor House, London.